Returns:You can return games that you have purchased to BoardGameRentals 1 week after purchase for a full refund if the games are returned in a excellent condition and in original packaging. Up to 6 weeks after a game has been purchased we are happy to you to return the game for a 50% refund of the purchase price as long as the game is in good condition - no piece missing, but good used condition. If you want to return a game you are responsible for its return postage and packing. Please advise us if you wish to return a game. You are responsible for the game until it arrives back at BoardGameRentals. We will refund or credit only once we have recieved the game and determined its condition. Please return games to BoardGameRentals, 84 Happy Valley Road, Owhiro Bay, Wellington 6023, NZ. This programme provides new games at a permanent discounted prices for the length of the membership. It is to be used by an individual and not by a group. Boardgamerentals reserves the right to cancel Buyers Club Membership if we have evidence that the programme is being abused (3 or more copies of the same game are brought over a short period of time). This programme is currently only available to Wellington residents and is pick up only. Payment terms and rental rate: We only accept payment by internet bank transfer, cash on delivery or PayPal. If payment is not received with 2 working days of the order being placed then the order will be considered cancelled. For pickup customers the customer needs to email us with times for pickup from the Wellington South Coast - Owhiro Bay region or the Wellington CBD. The rates for rental depend on the length of the rental period (2 weeks or 6 weeks from date of dispatch until they are required to be returned to us). 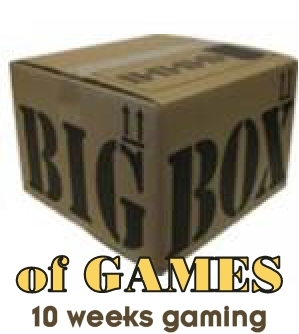 BoardGameRentals will provide return courier postage for the complete order. Should you rent a range of games with different rental periods BoardGameRentals will only provide one return courier ticket for the complete order. You will need to cover the return courier costs of any different rental periods in excess of the ticket provided. Returning rented game(s):You will be responsible for returning the game(s) rented on time. That is by the end of the rental period. If you fail to return the game(s) on time, late return charges will apply. The charges are set at 200% of the rental price paid for the 14 days rental for each week (or part of) of late return. BoardGameRentals will provide an address sheet and the necessary courier tickets for the order to be returned in the original packaging. Ownership:All games rented are property of BoardGameRentals, customers are not allowed to sub-rent the games. Rental care and lost components:You agree to provide proper care of games and to return all games in same condition as rented, at the end of the rental period. Responsibility of the rental remains with the customer from the time of receipt from courier/ pickup to the time of return. Please be sure all game equipment is accounted for at all times and protected from weather or other events that could damage the game(s). If some components of the games go missing and can be replaced from the manufacturer you will be charged for these replacements, if required. Due to some manufacturer replacement policies, it may be necessary to replace the entire game should some pieces get lost or damaged. You acknowledge, understands and accept this risk. If you should receive a game where there are pieces missing then please notify us promptly. We have rented 300-400 games over the last 2 years and only 2 pieces have ever gone missing and these were replacable. Lost or damaged game(s):In the event that the game is lost, stolen, damaged or abandoned during rental, you are responsible for paying the full retail price of an equivalent game. You will be able to keep the game that is damaged. You will not be able to rent any further game until these moneys have been provided. 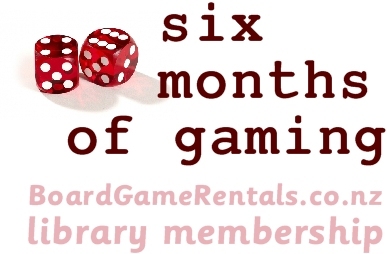 Non contactable customers:If you do not return the game(s) rented or pay any funds required for lost game(s) / missing components and remains un-contactable, BoardGameRentals reserves the rights to pursue the reclaim of the game(s) / moneys through all avenues of legal means. Any cost that BoardGameRentals incurs during these process will be on charged to the customer. PlayStation VR bundle includes: PlayStation VR Headset, 1x VR Processor Unit and power cable, 1x PS4 Camera, 2x Move Controllers, 1x Move controller chargeing station (and power adaptor), 1x Aim controller, 1x HDMI Cable, 1x USB Cable, 1x AC Adapter, 1x AC Adapter Cord, 1x Headset Connection Cable, 1 x ear buds, 1x Cleaning Cloth, 1x Demo Disc, plus extra Games (listed below), 1 x packing container for PS4 VR bundle. PlayStation 4 (PS4) bundle includes: 1 x PlayStation 4 (set up with access to at least 16 games), 1 x HMDI cable, 1 x power cable, 1 x Duel shock controller with extender battery and charging unit, 1 x USB cable, 1 x PlayStation 4 power charging unit, 1 x packing container for PS4 bundle. - The PS4 comes pre-installed with a range of games. The renter can use the provided BoardGameRentals account or a guest account with their own PlayStation Network account on the supplied PS4. - The VR Bundle and PS4 Bundle are provided pick up only (photo id requried when collecting the equipmentent. They need to be returned in good condition to BoardGameRentals at 84 Happy Valley Road, Owhiro Bay, Wellington. - Each VR headset requires its own PS4 to work. BoardGameRentals can provide a PS4 (with heaps of games) if you need one. - We recommend connecting the PS4 to your own internet connection to allow games to update and network play to be enabled if you have a PlayStation Network account. - The items will be well taken care of, including but not limited to always covering the headset from light when it's not in use, not smoking around them, not sticking anything to parts of them and using them in a careful and proper manner. - If another person causes any damage to the hardware, accidental or otherwise, this is still the sole responsibility of the renter, and their responsibility to cover all potential costs listed in this document. This is until the VR equipment has been returned to BoardGameRentals at Owhiro Bay, Wellington. - You take responsibility for items, and keep them secure. If stolen or otherwise lost, a signed police report at your expense plus photos of forced entry (if stolen) will be required. This may not waive your responsibility to pay for the items replacement. - Items listed and any software provided all remain property of BoardGameRentals, and must all be returned at the end of the rental period, and use of any software provided halted. The full $99 security bond may be retained until all parts are successfully delivered back, and any parts left out of the original return must be sent by tracked post at your expense. - A copy of the item's serial numbers and pre-rental inspection will be included in the box. Switching any of the items for ones that don't match the serial numbers provided will be considered theft. - $99 security bond may be used to cover replacing parts either not returned within 7 days of the end of the rental, or any parts damaged, accidental or otherwise, plus any reasonable expenses incurred in replacing parts in a quick fashion. 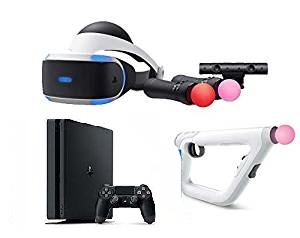 If the bond does not cover the costs, you agree to pay BoardGameRentals up to $1350 (or $1900 if a PS4 bundle is rented with the VR equipment), within 14 days. By agreeing to these terms, you confirm you can afford that cost. After that period a debt collection agency will be enlisted, and their fees are the responsibility of the renter. - You agree to notify us within 24 hours of any problems with the system, accessories or your rental. - VR is a new technology. The PS4 VR is well tested but can from time to time not work as expected. In these cases we recommend ensuring that all devices are fully charged and that the PS4 is turned off and on again. - VR is tracking may not work correctly if used outdoors, or under cover but with sunlight on any of the hardware. - Gear is tested before sending, but to reduce risk for events, you must be able to setup and test the equipment at least 2 days before it's needed, to give us time to support you to fix the problem. - Software discs may require downloading of updates, and any charges from your internet provider in regards to downloading those onto the PlayStation 4 console are your responsibility. Low Order fee: BoardGameRentals charges a lower order fee of $7.50 on any order $10 or under (before postage). Agreement to Terms and Conditions:By purchasing/renting from our website, you are agreeing to the above terms and conditions. We reserve the right to amend the terms and conditions at our own discretion. We will notify all our account holders by email should we do this. All amendments are effective on the day posted onto the website.